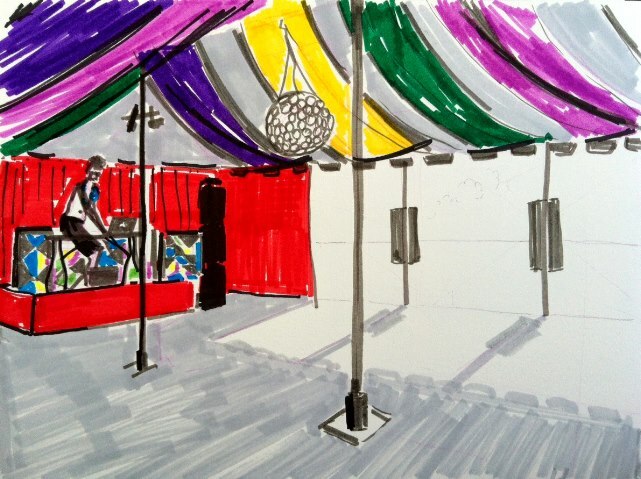 On Saturday 10th August I’ll play a Fractal Meat on a Spongy Bone DJ set at Supernormal Festival in Oxfordshire, in the disco tent (pictured). Using vinyl, CD and tape the set will be a collage of hiss, crackle, noise, drone and rhythm with the occasional recognisable song. Expect layers of doom metal, dadaist poetry, free jazz, primitive electronics, frantic percussion, sub-bass thunder, minimal techno and guitar feedback.